The Midgard Magpie collective is pleased to announce the first edition of our new A5 zine, ready for distribution. 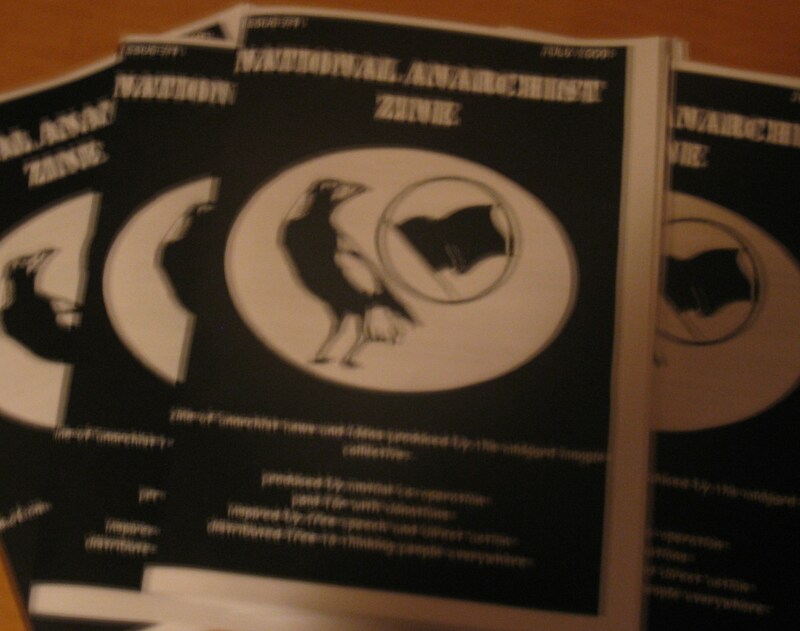 The zine has been produced through the hardwork of our activists and supporters, with a focus on sharing National-Anarchist ideas with the general public – especially the youth. 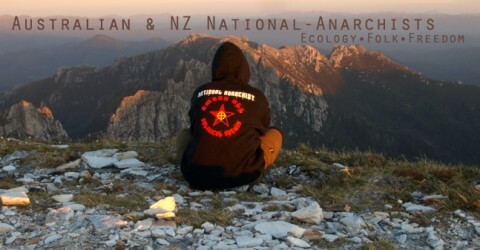 The National-Anarchist Zine (NAZ) offers commentary on anarchism, tribalism and local issues. If you’d like a copy of the zine or want to organise a subscription to future zines, please contact us at nationalanarchist23@gmail.com or through the contact page. Donations through PayPal can be made to the same email. We’d like to thank everybody that’s supported the collective so far, our successes are due to our activists and comrades time and efforts! A new political organisation has popped up recently, Nationalist Alternative. The group is influenced by the ideas of the international New Right think tank, which National-Anarchists have also been involved in and take an intellectual influence from. Nationalist Alternative (NAlt?) reject globalisation and liberalism and pursue a third positionist stance promoting pan-nationalism, a fair market economy and sustainable living. It is also good to see the adoption of National-Anarchist strategy in building a radical movement in the streets and forming autonomous communities. We acknowledge Nationalist Alternative are different in ways from the National-Anarchists but we also recognise our similarities and encourage them to make their presence known. We hope that they work hard to promote positive, revolutionary nationalism, to engage in meaningful activism that will benefit communities directly and keep the pressure on those groups that seek to impose reactionary and universalist views on all of us. We’ll definitely keep an eye on this group that has been inspired by the success and activism of the New Right and National-Anarchists both here and overseas! Originally published by the Yarra National-Anarchists. What is clear to anyone who works or has worked in the criminal justice system is that multiculturalism is a failed experiment. Not only has it failed in this country, but it has failed in scores of countries around the world; in fact, in all countries in which this experiment in social engineering has been conducted. Those countries which have been able to maintain social cohesion, on the other hand, have been those which, to one degree or another, have maintained the social pressures that only an internalised, naturalised culture can bring. History has taught us that this is a non-transferable attribute. Prison, unfortunately, is often the end point for society’s internal conflicts. What’s played out on the streets of Australia finds its ultimate reflection inside the walls of our penal institutions, and its dark and dimly lit cells. Worse yet, Australia spends vast sums of money each year to house its thousands of prisoners, and yet year after year the solution to criminal behaviour always seems to elude us. Social scientists pay homage to the state by skirting around the problem, conveniently missing the crucial point: that the forces of state and capital, which navigate the direction society takes, are at its heart. In reality, faith in the state serves only these ‘scientists’, and helps them to maintain their position within the ivory towers of academia: a leftist haven which is defended, at all costs, against a common sense approach to social justice, and the practical interventions which this approach suggests. Evidence for the failure of multiculturalism is everywhere. One only has to look at our overcrowded prison system to understand that newly arrived migrants are unable and unwilling to grasp the social norms of our society. Units are filled with half-literate migrants, and the organisation of the prison population is a reflection of our society at its most primal: segregation along ethnic lines as a means of basic survival. These facts are as stark as the light of day. Of course, that’s not to say that Australians of European decent don’t commit awful offences. Like Australia itself, the majority of Australian prisoners are from a European background, each one costing the tax payer upwards of $65,000 per year to house. This article, however, is not intended to address the obvious problems faced by working people under capitalism. Its intention is to highlight the idea that multiculturalism is broken, a failed experiment, and that in order to maintain a harmonious society, it’s not enough just to destroy capitalism. Instead, we need to think about what causes social conflict and how we can maintain social cohesion. Not just now, but when our idea of autonomous communities is realised. We need to look at examples of autonomous communities around the world, and to re-think what we mean by ‘self-determination’, a buzz-word used by the left when it comes to indigenous politics and the plight of other oppressed minorities, but not ‘whites’. As bad as our situation is, it is made only worse by multiculturalism. In speaking about multiculturalism, what we need most is honesty, especially about the fact that cultural aspects of crime prevention are ignored by the mainstream. Theories of differential association and strain theory have time and time again failed to take into account the healthy aspects of internal pressures within the “tribe” or mono-culture, and failed to seriously examine how the natural need to protect and maintain ones’ own community is the greatest crime prevention tool of all. This instinct for self-preservation is something that, in the West, has been steadily eroded by years of capitalist gains. Culture that has been built up over hundreds and even thousands of years has been eroded within decades, and led to the oppression of millions. The multicultural United States is one of the clearest examples of this situation, where one in five black males will end up in a prison cell within their life time. Is this really all the fault of whites? Or is this a manifestation of the breaking down of community and the lack of real self-determination on behalf of the black population? It’s easy to blame the so-called white ‘master’, and many blacks do, but the story runs deeper than the slave trade. This is a cultural problem, and one that clearly requires a cultural solution. That answer is clear: National Anarchism provides the only viable response to these issues. Time and time again the left, with their dogmatic and reactionary responses to social issues, have solidly and consistently missed the point. Instead, the left seeks to further oppress the masses with their antiquated, tired, and proven failures. 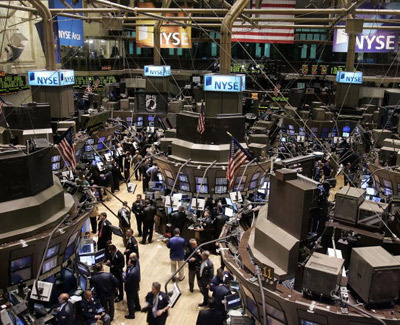 Dogma prevails in this instance, and even when the tide of global capital rises above their heads, they grasp, and they stick to their dogma. It’s clear that rather than shake off their ideological concrete boots, and acknowledge the common sense which National Anarchism offers in the way of dealing with social issues, they would rather drown in their dogma: to the detriment of all. Following on from the situation which faces the black population in the United States, another clear example of how important the role of cultural or tribal influence has on crime is Japan. Japan has been a focal point of criminological research, research which, for the most part, has been ignored in leftist/academic circles. The reasons they ignore Japanese studies is simple: it raises uncomfortable questions which confirm the existence of a strong cultural influence over the size and shape of criminal activity. Japan is one of the strongest monocultures on earth. Strict and consecutive polices of immigration control have resulted in some very interesting crime statistics which have gone literally unmatched in the West. Western governments and policy-makers ignore the anomalies produced in Japan as their research is for the most part conducted by either one of two groups. First, leftists committed to an interventionist framework for dealing with crime control who fail to acknowledge, or completely ignore, the hard evidence coming out of Japan. Secondly, right-wing neo-liberals who also avoid the evidence as it runs counter to their “capitalist” way of thinking. If one reads some of the literature related to criminal justice studies it is little wonder they want to ignore it! For National Anarchists, Japan is no haven for our ideas either. But it does go a long way to supporting our arguments for true autonomy! Japan is a great example of the National Anarchist argument for the separation of cultures. It’s a simple idea but one that scares a lot of leftists. What National Anarchism prescribes is a dose of reality, into a world which is captured by the madness of leftist dogma. We are the “real” realists, and the evidence is there for all to see. Crime control is just one example of how a National Anarchist system of autonomous communities can benefit all people, of all races! Axiomatic: a mix of things coming together. Interesting when you think about it isn’t it? The differences between the history of Japan and the United States, especially during industrialisation, make clear the importance of maintaining native cultures, and how various competing interests have affected rates of crime, which in the United States is ever rising. I say ever rising because they have simply not stopped! 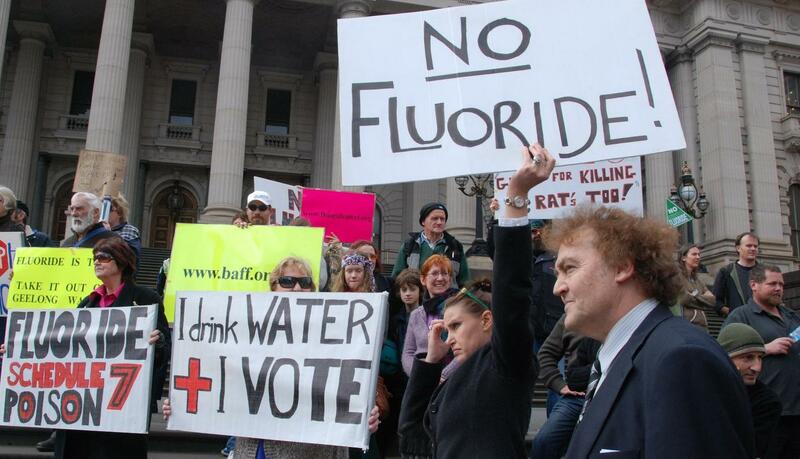 In fact, it just seems to be getting worse, just as it is here in Australia, and in my city of Melbourne. Interestingly, one the worst centres of crime in the country is also at the heart of multiculturalism: Sydney, NSW. Its prison population outranks that of all other states. One might expect Japan to be the same. But it is not. In fact, for much of the post-war period, crime rates in Japan have declined! Japan reached a post war high of 1.6 million violations in 1952. (This was just a few years after Japan lost a war, had two atomic bombs dropped on it, and had 1/3 of its population wiped off the face of the earth.) Japan reached its low point of 1.2 million violations in 1972. Now here is the big question. Name one other Western capitalist country where the crime rate went down a whopping 25%. The answer: you can’t! I live in the city of Yarra. Here the likes of Steve Jolly and his Merry Men have ridden into office on the backs of poor immigrants who live in squalor and perpetual poverty. Take a look around and what do you see? The non-migrant community is constantly being subjected to high crime rates, often involving violence. The tensions which are absent in Japan are tipping toward boiling point in the city of Yarra. On the one hand, employers fail to cater for the needs of migrant communities because they are low-skilled, and therefore of low worth. On the other hand, and quite rightfully, those who live in the housing estates and who are Australian feel resentment towards these newly-arrived immigrants because they are able to secure funding and employment from both government and council, while native-born Australians are expected to shut up and play along with the multicultural madness imposed on them by leftists such as Jolly and his friends in the ALP. It’s clear that the present global situation requires us all to rethink our ideas and acknowledge the evidence before us. What problems that face my community in Yarra and are replicated across the globe. Now is not the time to sit on our hands and accept the status-quo. It’s time to reinvest in ideas and search out solutions to the failures of the traditional left. The Steve Jolly’s of this world and their socialist comrades are capturing the terrain. It’s time for us not to just fight against them in traditional ways, which does not work, it’s been proven. We need to recapture the heart and minds of all people, the disenfranchised and disposed of this world. We need to turn the ship around and fight for a new direction. 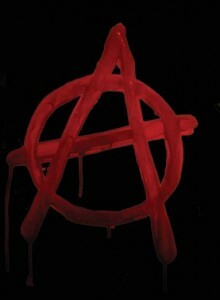 National Anarchism in my view is that direction. To discover more national anarchist ideas please visit and comment on the following websites or if you are interested in National Anarchist ideas, please feel free to contact us directly. David Donald, Yarra National Anarchists. The University of Technology, Sydney has recently ran an article on the Global Economic Crisis and how this may stimulate social change, their focus? Will the economic downturn mean an increased interest in anarchism around the world? Our very own Victorian network were asked to comment on how we see the economic crisis and how we see anarchist thought and activism growing. 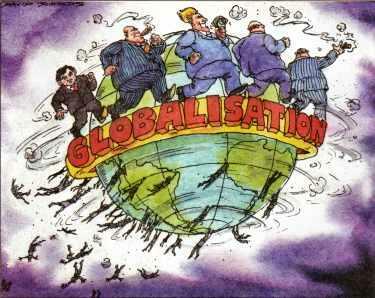 We see capitalism as the cause of the global economic crisis and we see the dismantling of the corporations and international banking as the only solution. We will see more people behaving and living according to anarchist values as a result of this crisis, when the government can no longer provide, people have no choice but to take care of themselves. National-Anarchists intend on being ready for the impact of the economic crisis and being there to support our local communities to survive, adapt and build a sustainable alternative to capitalism. If we are to do anything as a result of this economic crisis, let’s make it a change in direction, away from global capitalism and toward a localised, sustainable and socially just society! Our National-Anarchist activists are always looking for ways to reach those in our communities and abroad, if you know of a publication that addresses issues relevant to National-Anarchists, please let us know! Click the image above for the PDF. Our May Day 2009 flier is available for download to mass distribute over the weekend. A stickering campaign during the recent Yarra harvest festival weekend is the motivation for this article. The stickering was mainly conducted throughout the blocks of corporate high rises in the Southbank area of Melbourne. Southbank is home to such corporate buildings as HWT, Eureka Tower and of course Australand Holdings which is the corporate entity centred in the following story. National-Anarchists aim to make an impact and leave a message with our stickers. The stickers themselves are intriguing and appealing; they catch the eye and leave a person wondering about the ideas that come with such a sticker. Needless to say, stickering in a maze of corporate buildings is putting out a message of anti-capitalism in the very heart of global capitalist turf. Not to mention that National-Anarchist stickers are much more exciting and thought provoking than tonnes of concrete and boring corporate art. John Worker didn’t want to keep talking, he was slightly confused and had to finish his work, he’d hate to keep his boss waiting. However, the activists had been left dumbfounded – never before had they seen a worker of any description identify with and defend a corporate entity, let alone the company they worked for! National-Anarchists thoroughly oppose the entire concept of a corporation. A corporation is a legal entity designed to protect individuals in their business dealings. National-Anarchists do not oppose buying, selling or bartering but we do demand that every individual be held accountable for their actions. If you are selling Microsoft products, you should not be able to hide behind the name and collective assets of Microsoft Corporation. Corporations are a major enemy in our fight against the establishment – corporations of all descriptions are guilty of exploitation, environmental destruction, consumerism and globalisation. It is fascinating to see an individual pledge loyalty to an entity as artificial and damaging as a corporation. Though, it happens and in our modern, consumerist world it is increasingly common. What is this “corporate culture” and how do we combat it? A person is first drawn to a corporation by the needs that are met by such an entity. Obviously, salaries are paid which puts food on the table and meets the essential and material desires of a person. A corporation offers incentive or the potential to grow as a person – learning new skills, becoming a respected employee, getting a promotion and “climbing the ladder” are all a part of the corporate culture. A corporation does serve as a sort of family and tribe for its employees; your workmates may support you in tough times, your boss supplies your needs and motivates you and wearing the logo of your corporation is like flying the flag of your tribe. A National-Anarchist can understand why people would want to be a part of a corporation. It is not about being selfish or consciously supporting a negative and destructive entity. It is about belonging, meeting your needs and prospering in our consumerist world. It is now the norm to spend long hours in the office, earn a salary and buy the newest products. It is now the norm that independence from work, being close to family and non-materialistic aspirations must come second to the corporate job. This is of course not the case with all corporate employees, though it is a trend growing in developed countries – Japan is a scary example. In Japan, to spend your entire life with the same company is expected. It is not uncommon that Japanese “salary man” will put more hours in to work than he would his family and even spend a small fortune on gifts for his superiors. Such loyalty to a corporation has even been compared to the loyalty of Samurai to their Lord in the Japanese feudal era. Salary men are even known to have tattoos of their companies’ logo on their bodies. Can we foresee a world where each human is assigned a corporation where they will spend their entire lives? Will the “Fight Club” prophecy come true when the corporations name everything new in the world? It may be a logical conclusion to capitalism and globalisation but National-Anarchists work to stem the tide of corporate influence and expansion. The corporation may serve as a tribe for the materialistic employee of the 21st Century but it is an unnatural entity that should not be coveted as an idol. The real “tribe” as given by nature to mankind is the family and the extended family and is built by ancestry, tradition, values and religion. This natural culture has been stifled and ignored ever since the first pluralism in Persia and Rome, becoming more evident and increasingly decadent ever since the Industrial Revolution. The only way to prevent humanity from descending in to a future of robotic materialism is by reviving the organic society as embodied by the natural concept of tribe. Fighting the corporate culture begins with meeting the needs of an individual and their family. Encourage self-sufficiency and promote independence rather than reliance on an employer. Build on the community by encouraging the community to meet the needs of its members; education, employment and recreation should be readily available within the community. Promote the independence of the community and negate reliance on all outside influence; especially the State. Individuals wants to feel close to other members of their community and belong to their community; any “community” where the members are vastly different in culture is not really a community at all. Homo Corporatus is a creation of our modern society, it is one destined to fail as all unnatural concepts inevitably do. We can decide if we will pursue a natural lifestyle as is the goal of National-Anarchists or if we will continue to progress down a path of crass materialism and excess that will only serve to destroy our environment and lead to the destruction of life as we know it. National-Anarchism is a natural, social alternative to global capitalism and the corporate culture. If you wish to meet and network with National-Anarchists, contact us at our contact page.